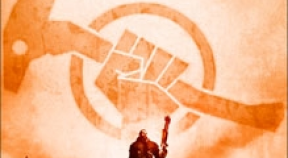 Completed 2 missions for the Red Faction. Destroyed 5 High Importance targets. Located all missing radio tags. Destroyed all instances of propaganda. Completed 25 killing sprees during the Campaign. Destroyed 1 billion credits worth of EDF property. Destroyed 250 EDF supply crates. Raised the Morale of 3 sectors to 100%. Blew up 100 small hydrogen tanks. Killed 100 EDF with the sledgehammer during the Campaign. Destroyed 50 EDF owned buildings. Killed 10 enemies in a Matchmaking Match. Reconstructed a Damage Control target. Watched a match in Spectator mode. Finished a match in every mode. Finished a match on every map in Multiplayer. Scored a kill with every weapon in Multiplayer. Earned 1,000 XP in Multiplayer. Earned 10,000 XP in Multiplayer. Earned 100,000 XP in Multiplayer. Scored 5,000 kills in Multiplayer. Completed 8 hidden challenges in Multiplayer. Completed 16 hidden challenges in Multiplayer. Scored 10 kills while wearing each backpack. Killed a flying opponent using a Remote Charge stuck to them. Played all Wrecking Crew modes once. Played every mode on all maps in Wrecking Crew. Scored 25 million points worth of destruction in Wrecking Crew. Played online with another player who has completed the Campaign.